How Far is Urban Spe Avenue? Urban Chennai is a dedicated team of professionals, we are rich in experience and we believe in right thing called "QUALITY". Our completed projects stand testimony to our perception about standards. All our employees have been trained to follow all standards meticulously. We have a long list of highly satisfied customers. Every one of our customers is our brand Ambassador spreading the fame and name of Urban Chennai. 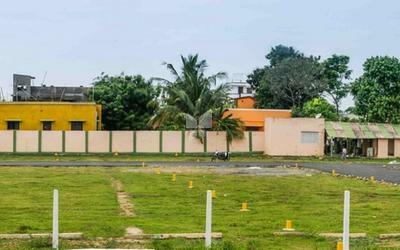 SPE Avenue is a famous venture developed by Urban Chennai, situated in Porur, Chennai. The venture is enticing potential owners from all over Chennai by virtue of a number of points primary among those being the locality and immaculate construction quality. SPE Avenue is one of the best examples of construction design, green spaces and quality levels. The project with its proximity to the core of Porur is easily reachable by all means of public and private transport. It boosts of copious numbers of nursing, academies, colleges, plaza, gardens and monuments in close surroundings. All essential needs of the occupants have been factored in during the construction of the property.